NOTE: Starting with the Thailand trip just completed, I have begun limiting each “photo story block” to only seven images. A few years ago, I was using eleven, but received feedback that the images were too small. I have since been using nine-photo blocks. Some people have commented that they read this block on small screen phones, and still could not see much detail. I would love to hear from you with your opinion on this change — or any other change you feel would help make this blog more readable and/or more interesting. 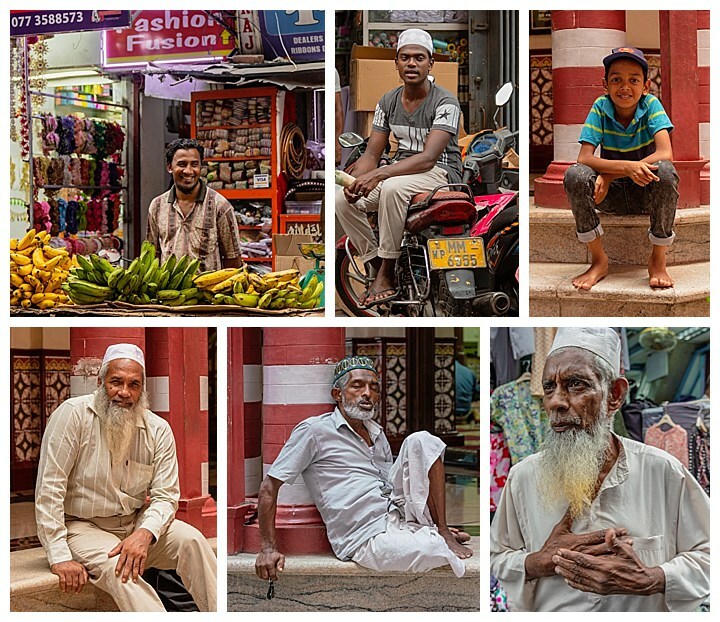 We have now entered Sri Lanka, on a photo tour led by Mehmet Özbalci, of Fantastic Photo Tours. We first met Mehmet on a tour of Turkey in 2016. We later traveled with him to Uzbekistan, Kyrgyzstan, Kazakhstan, Armenia and Georgia in 2017. 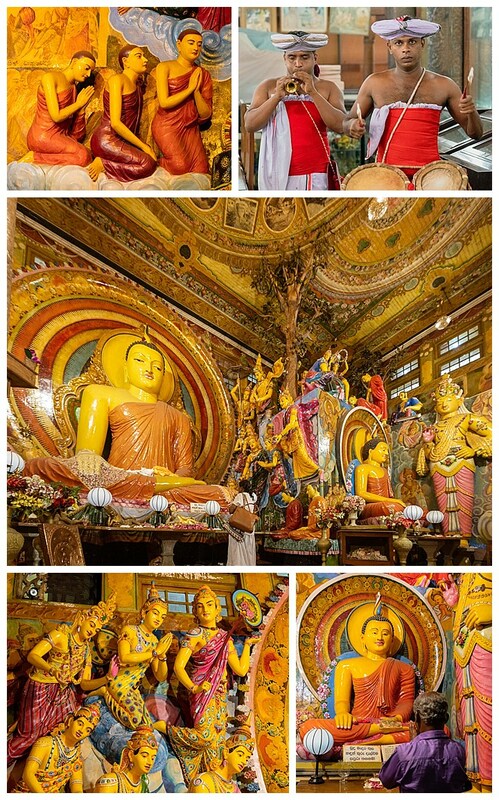 One of our stops in Colombo, the capital of Sri Lanka, was the Gangaramaya Temple, where we saw the colorful statues typical in Hindi temples. There was also a trio of musicians, one with a flute and two on drums that we have come to recognize as a traditional arrangement (upper-right). We also entered the Jami-UI-Alfar Mosque, more commonly called the Red Mosque, where women were only allowed to visit the ground floor (upper-right plus lower-left and lower-center). This is in a very old neighborhood full of shops and still more interesting people (remaining three images above). 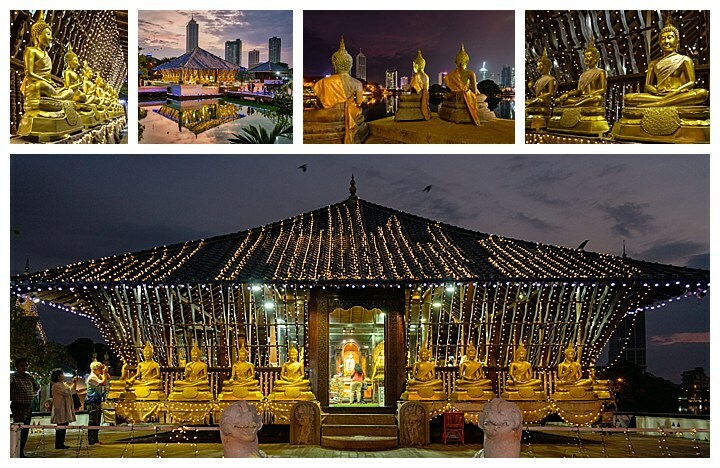 In the evening, we walked over to the Seema Malaka temple, which sits on Beira Lake. This temple is used primarily for meditation and rest, rather than worship. 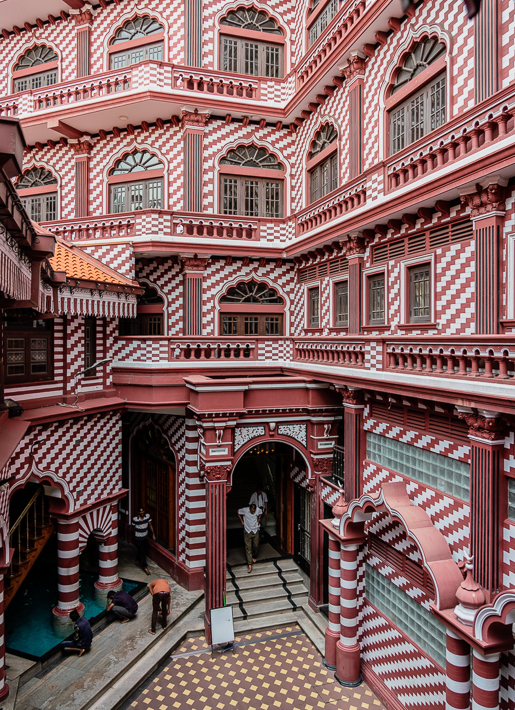 This provides a view of what the inside of the Red Mosque looks like, and it appears to be a fitting conclusion of the Sri Lanka capital post.